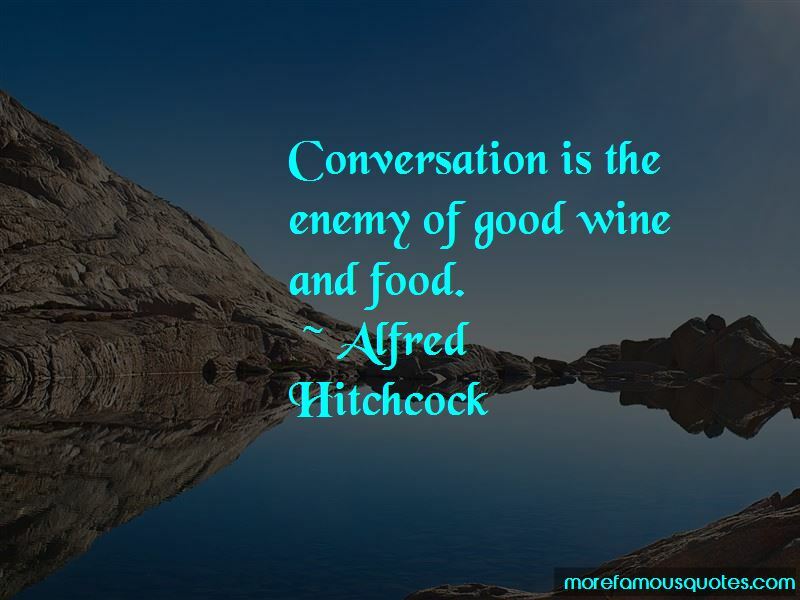 Enjoy the top 120 famous quotes, sayings and quotations by Alfred Hitchcock. I have a perfect cure for a sore throat: cut it. The more successful the villain, the more successful the picture. I'm frightened of eggs, worse than frightened, they revolt me. That white round thing without any holes ... have you ever seen anything more revolting than an egg yolk breaking and spilling its yellow liquid? Blood is jolly, red. But egg yolk is yellow, revolting. I've never tasted it. “In North By Northwest during the scene on Mount Rushmore, I wanted Cary Grant to hide in Lincoln's nostril and then have a fit of sneezing. The Parks Commission ... was rather upset at this thought. I argued until one of their number asked me how I would like it if they had Lincoln play the scene in Cary Grant's nose. In many of the films now being made, there is very little cinema: they are mostly what I call 'photographs of people talking.' When we tell a story in cinema we should resort to dialogue only when it's impossible to do otherwise. I always try to tell a story in the cinematic way, through a succession of shots and bits of film in between. “Gee, I'm sorry I didn't hear you in all this rain. Go ahead in, please. To make a great film you need three things - the script, the script and the script. That is the most frightening sight I have ever seen. 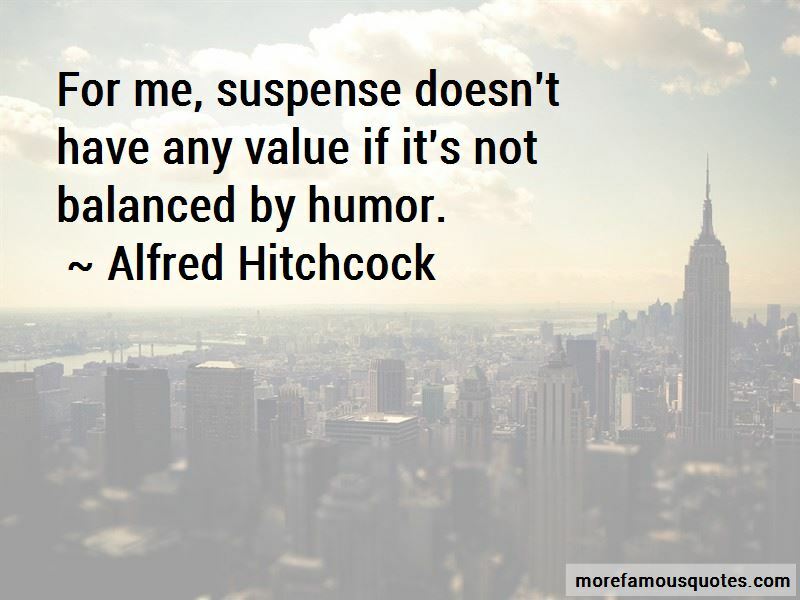 For me, suspense doesn't have any value if it's not balanced by humor. 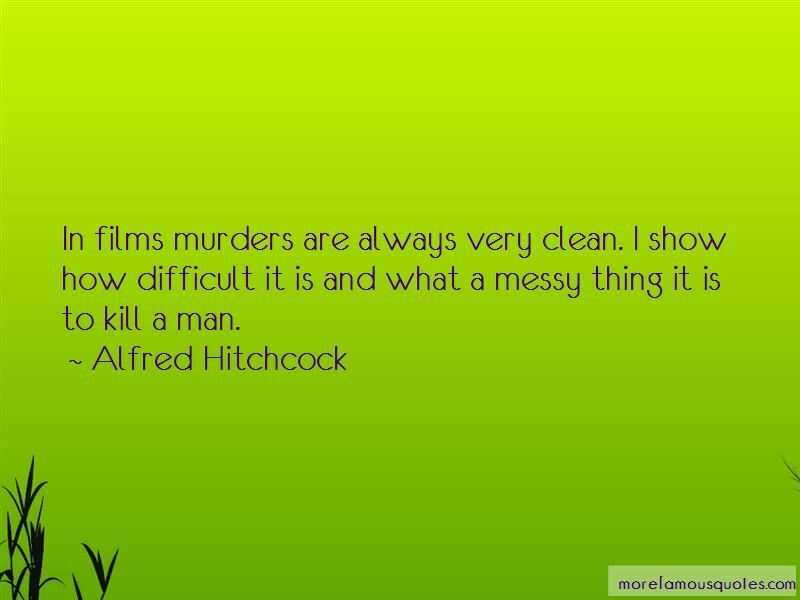 Want to see more pictures of Alfred Hitchcock quotes? 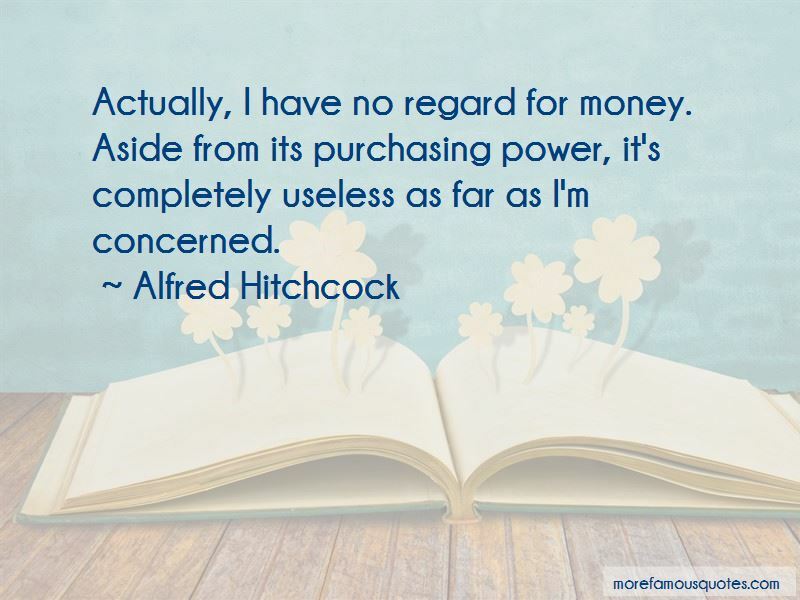 Click on image of Alfred Hitchcock quotes to view full size.